Summary: This series of stories follows the aftermath of the botched Borg invasion of the Enterprise. Will Riker finds that a former colleague, a Starfleet officer and Doctor, Eric Sartos is giving nanite technology to the Cardassian's. Summary: This is the story of the Terran Empire that never fell. Kiba'avzayn and welcome to the Cardassian Union! Here you will find collected bits of information about the Cardassian people as portrayed in Star Trek: Sigils and Unions, as well as the occasional tidbit about those others who have crossed their path. Culture, language, geography, and history...there's a little bit of everything to give terhăn-çăs their first real introduction to Cardassia! Somewhere among the hundreds of thousands of parallel universes is one where the worlds of Cardassia have fallen to an implacable enemy on a jihad to destroy everything they hold sacred. Some seek refuge among the stars, while others fight the enemy at home--and in the depths of their souls. Driven by twisted forces of immeasurable magnitude, the Bajorans have invaded. Will the spirit of Cardassia remain unbroken? Summary: Set approximately 40 years after the maiden voyage of Jean-Luc Picard and the Enterprise-D, this series follows the adventures of Captain Beaumont Winchester and the crew of the starship Silver Hawk. Summary: S'oren Marcus, the daughter of Saavik and the deceased Dr. David Marcus, is a newly minted ensign ready to embark on her first mission as an agent for Starfleet Intelligence. For the first time in her life, her mixed Romulan/Vulcan/Human heritage is to her advantage. Star Trek: The Approaching Shadow is a direct continuation of DS9, set 18 years after the Dominion War. PLEASE NOTE that this series does NOT use the universe of the DS9 Relaunch stories. Instead it is an alternate take to what happened after the ending of the Dominion war. This is a mix of new and old, new characters with old characters. Kira, Bashir, Ezri and Odo are four of the main characters from the DS9 series (the old guard), while we introduce three new main characters: Megan, Max and Holo (two humans, and the latter being a hologram). The stories are nothing flashy, just carefully thought out plots and my take on what happened after DS9. Spanning the generations of Starfleet history, the one tennant that ties them all together are the various philosophies of command. The power of starship captains affect the consequences of the future, and so that kind of power must be used with caution and pause. From the wild frontier of the formative years to the refined maturity of a post-Dominion War fleet, the philosophy of command remains as constant as the speed of light. Summary: The Dominion War is over, but rebuilding is only beginning. Many of Alpha and Beta Quadrant powers are at societal crossroads. From what is left of the Cardassian Union to the Klingon Empire, many worlds face internal strife that will have drastic impacts on the astropolitical scene. The crew of an Intrepid class starship, the USS Yellowstone, has a crew of many different species and a few humans. Captain Woar Yogi commands the ship; he is a Lupsus (wolf-bear) species. This series is set approximately in the early 2380s as Starbase 107 is, and will occassionally cross over as Lieutenant Commander Ian Yogi is the younger brother of Captain Woar Yogi by three years. In Starbase 107: Helping Hand, Captain Yogi makes a quick cameo at the Commissioning Celebration of Conservancy. Starbase 107 (SB107) is about a Regula class space station, commanded by Rear Admiral Cody Buchanan, located in the Alpha Quadrant between Inferna Prime and Memory Alpha. The USS Conservancy, a Thoreau class starship that is similar to the Nebula class but with one centrally placed nacelle underneath the secondary hull, is commanded by Captain Daniel Josiah Barrett and is stationed at SB107. This episodic series will have adventures at the space station, as well as in space. Summary: From mid-level operative to head of the Obsidian Order for an unprecedented 20 years, Enabran Tain defied all odds and made his own rules. How he did so is shrouded in mystery, a tale untold, until now. Explore his triumphs and failures and view his rise to power through his eyes and the eyes of those closest to him, for good or for ill.
Summary: On the other side of the galaxy lies the Dominion, a vast empire ruled by the mysterious Founders. To maintain its territory, the Dominion relies on the brave male and female Vorta to extend its will across known space. Summary: These are a few stories of could-be's and could-have-been's about the Dominion. 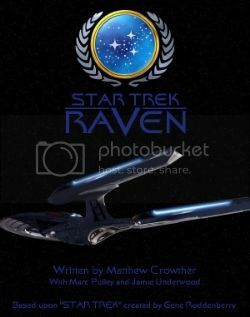 Tales of the Storyteller is a series of stories about (and, sometimes, told by) Sydney Satterwhite, a Starfleet officer with a colorful past and a career full of twists and turns. It follows her from her stint as a lowly Ensign, to her service aboard an infamous starship under a demanding Captain, to her assignment as Captain of her own ship. 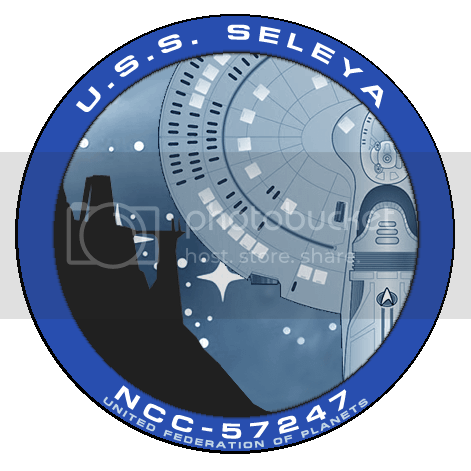 A new captain takes the helm of the Challenger-class ship Seleya. Three linked tales and a couple shorts all together when I'm done.